Resistance Bands – What can they do for you? Resistance training is a form of strength training in which each effort is performed against a specific opposing force (such as gravity, a resistance band or a weight). Resistance exercise is used to develop the size and strength of skeletal muscles. When performed properly, resistance training can provide significant functional benefits to muscle and joint health. One effective way to create resistance exercise is to use resistance bands. Also known as stretch bands, resistance bands are elastic bands made of latex or non-latex materials. They are lightweight, portable and space saving exercise equipment. 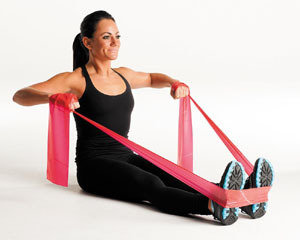 There are several types of resistance bands which are usually color-coded according to the resistance level they offer. There are two basic types of resistance bands: Thin and Flat and Tube. Thin and Flat resistance bands are usually about four to five feet long. Tube resistance bands are about four to five feet long and often have plastic handles on the ends. Resistance bands initially began to be used in exercise in the 1960’s as a form of resistance training. Its first application just came from the way the resistant strap provided work for the muscle. In the 1980’s interest in resistance bands came into the forefront of functional training. Functional training focuses on training the bodies ability to handle momentum, varying angles of resistance and joint stability. Resistance bands provide training in all planes of movement and diagonal recruitment of muscle relationships. My personal history with the bands began in the late 1990’s when I first began teaching my Core Conditioning classes. I was searching for a way to offer a muscle building workout without the need for hand-weights. I purchased several yards of each level of band and cut them to useable lengths and then stored them in a closet at the studio. The next day I went into that closet and was delighted with a wonderful chocolate scent. Someone had brought chocolates! I did the only reasonable thing and looked for that delicious chocolate. That was the day I discovered that the brand of resistance bands I purchased were marketing geniuses. Theraband resistance straps smell like chocolate when they are new (I have no idea what they taste like, I wasn’t that desperate, just disappointed). Thera-band brand of resistance straps were introduced in 1976 by the Hygenic Corporation. Much of the use of resistance bands and tubes were in physical therapy for rehabilitation of injured muscles. The lightweight and portability of the tubes and straps made them perfect for training in physical therapy clinics as well as a tool the patient could take and use at home. Resistance bands are typically latex rubber which resists elongation when stretched. A resistance band offers and increasing amount of resistance the greater it is stretched. One benefit of using resistance bands in muscle training is that it provides resistance when the muscle is in it concentric (shortening) phase, but also in its eccentric (elongating) phase which more fully develops muscle strength. 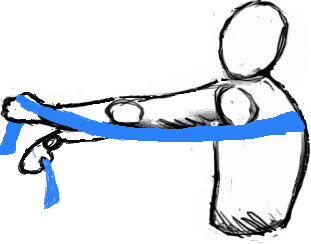 A resistance band can be used held between the hands, placed between the hands and the feet or attached to a stationary object. The force created by bands and tubing is directly related to elongation. Each color level of resistance will produce a specific amount of resistance at the same percent of elongation regardless of its initial resting length. The force slowly increases as the band or tube is stretched. A band can be safely stretched many thousands of times without breaking. They are however susceptible to breakage if stretched beyond 300%. 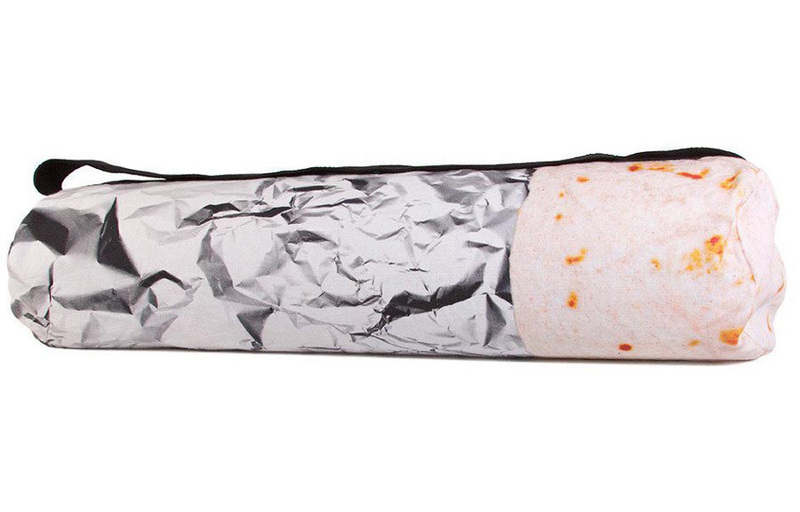 For example, stretching a 1 foot band to 4 feet would likely break the band. Now the color coding of bands varies depending on the brand. 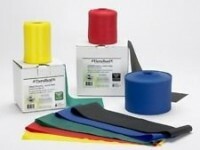 I choose to use the Theraband brand because they are great quality and because I know exactly their strength per color. The following chart is for the Theraband resistance straps and would not necessarily apply to other brands. I just purchased another set of resistance bands for my Core Conditioning class. It has been a few years since the last time I brought in some new ones because they last and last. Eventually they do wear out and sometimes we break them. I found out the hard way with my first set that these bands need to be warmed up prior to using them. After I got over the fact that there was no chocolate in the closet and handed out the straps for my students to use we ended up breaking several of the straps. It was winter and the studio was cold. Those straps had been stored in a cold closet and then immediately stretched hard. Latex rubber is not very pliable when it is cold. I tell my students that since it came from rubber trees that grow around the equator, we must warm them up a bit prior to using them. Warm up is easy, just rub the straps vigorously between your hands and then double them and give them a few moderate pulls. They will then work and stretch to their utmost. You can however break them if you pull them too long. Of course the thinner straps are more fragile than the thicker ones but any strap can break if it is lengthened greater than 4 times its resting length. Sit or stand with good posture. Place the resistance strap around your back and hold each end in your hands. Make sure there is no slack in the strap. Holding the strap in your hands, take your arms to your sides with your wrists and elbows level and your hands even with your chest. The strap should rest across your shoulder blades with no slack. Slowly bring your arms forward at about shoulder height and cross one arm over the other in front of you. This action will stretch the strap and separate your shoulder blades. Now slowly return your arms to the starting position. Repeat this action several times, alternating which arm crosses over the top. Which strap you choose for this type of exercise will depend on your current strength. You will want to feel that your effort is fatiguing you in about 10 to 12 repetitions. Remember that the strap works in both directions so keep your actions slow and smooth. It would be a good idea to have more than one resistance level in these straps. They sell multi packs of yellow, red, and green, which are great for starting out, as well as heavier blue and black. If you want even greater resistance they have silver and gold. Just remember, they only smell like chocolate. ← Battle of the Nuts: Which nuts are the most healthy? Hi, in what Yoga style are resistance bands most often used? It would likely be modern Hatha yoga classes, which is about 100 or more styles of yoga. 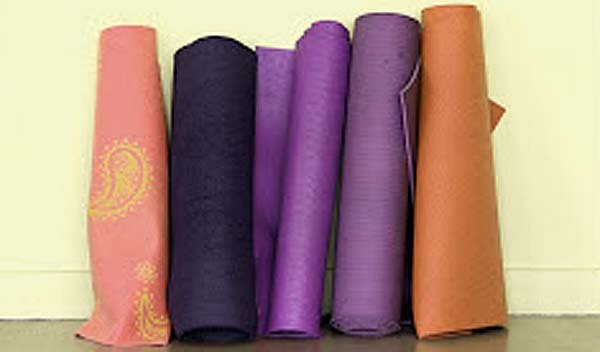 Almost all the yoga classes taught in fitness facilities are Hatha yoga style classes. Iyengar yoga is also a Hatha yoga style. However, that being said, it is possible that any instructor could decide to use resistance straps in their class. It is relatively easy to think of ways to use the straps during a class either as an adaptation in a traditional pose or as an exclusive technique in a portion of class. For example since a pose like plank requires chest strength, the instructor could have the students use the strap prior to the plank pose to strengthen and activate the pectorals. Alternatively, the instructor could have the students place the strap across their back and then hold the ends of the strap under the hands in a table top or plank position and press the back upward into the strap resistance. This would strengthen the pectorals and the underlying serratus anterior muscle as well. For a creative instructor the use of resistance straps in a class in practically endless.